A VA loan is a loan that is used for mortgages and available in the United States. The loan was created to offer American veterans or their living spouses a long term financing option and is guaranteed by the United States Department of Veterans Affairs. The home loan program is designed not only to assist veterans in purchasing property without making a down payment, but also to provide private financing in areas where it is traditionally not available. 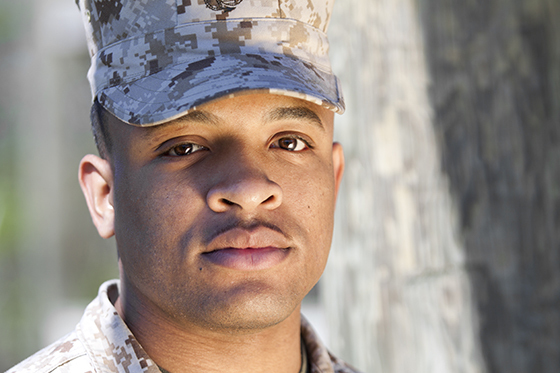 The loan offers qualified veterans up to 103.15 percent financing in addition to a 20 percent second mortgage. In addition to these rates, a $6000 subsidy is also available for energy efficient home improvements. After being approved for the program, a qualified veteran may borrow up to 103.15 percent of the market value of the home or the sale price at the time the loan is initiated. The borrowing amount will be determined by the lesser of the two values. The VA loan does not include mortgage insurance. This means that a larger proportion of the payments will go toward the loan amount, making it possible to commit to a larger loan while still making the same payments. However, Veterans Affairs will insure a mortgage that has a monthly payment that is at a maximum of 41% of the gross monthly income. Veterans must pay a funding fee to Veterans Affairs. As of 2004, the fee for first time use has been 2.15 percent. A veteran may be exempt from paying this fee if he or she is receiving disability compensation from Veterans Affairs. However, in order to qualify for the exemption, the amount of compensation that they must be receiving is a minimum of 10 percent. Individuals who qualify for the exemption include Veterans who suffer a disability that was caused by service and are receiving compensation from Veterans Affairs, as well as surviving spouses of veterans who were killed while in service, or who have succumbed to a disability caused by their time in service. Fees will also vary depending on whether a qualified veteran has taken out a VA loan previously or not. Although the rates will vary, they are generally higher for veterans who have already taken out a VA loan. In addition, the rates will vary depending on whether a qualified veteran was in the regular military or the National Guard. Another fee that must be accounted for is the monthly fee charged by the Federal Housing Administration to guarantee the loan. The application process consists of a standard loan application that is issued by the Federal National Mortgage Association (Fannie Mae). The process is heavily scrutinized and knowingly making false statements can lead to harsh penalties including imprisonment. In order to apply for the process, the applicant will need to submit documents that will prove your status as a Veteran. This includes either the discharge paperwork or Certificate of Guarantee. The applicant’s financial standing will also be considered. Fannie Mae will usually require statements that can confirm the applicant’s gross household income. This can include copies of W2 statements or copies of the applicant’s two most recent pay stubs. Fannie Mae will also consider the value of any other assets that the applicant may have. This includes statements for checking accounts, savings accounts, trust funds and any other financial investments. If the applicant has since become self-employed, they will be required to submit tax return statements from the two most recent years.